Airtel 499 Plan Details: How To Get 2GB Data Per Day For 82 Days? Now a days, Bharti Airtel and Reliance Jio, both are giving almost same benefits at same price. In some places, Airtel is even better than Reliance Jio in terms of network availability. Yesterday, Airtel launched their new Airtel 499 plan for it’s prepaid customers. So, here we will discuss about Airtel 499 plan details and how to get Airtel 499 recharge on your number. Airtel 499 Plan is available for prepaid users only. Under this newly launched plan, users will get 2GB of high speed 4G/3G data per day. The plan comes with the validity period of 82 days. So, at the end, customers are getting total 164GB of data at just Rs 499. Not only the data benefits, users will also get unlimited voice calling to local and STD numbers bundled with this plan. And it will also provide 100 SMSes per day and roaming calls are also free with this plan. If you calculate, the cost of 1GB data is as cheap as Rs 3 only with this plan. 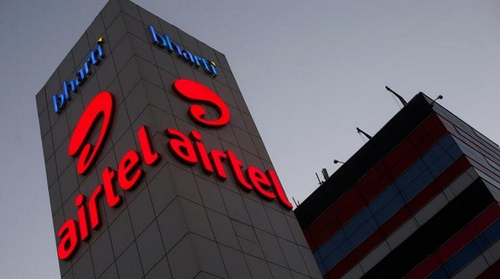 How To Get Airtel 499 Recharge? Visit your nearest Airtel retail store. Ask for the recharge to the retailer. Or use My Airtel app. Login to the app and go to recharges section. Choose Airtel 499 plan and pay online. You can also use Paytm or other digital payment platforms. Just enter your Airtel number, select operator, circle and amount. Then pay the amount from your wallet or credit/debit card, net banking, etc. Once the recharge is successful, you will be confirmed via an SMS. N.B. Outgoing calls are free only for 300 minutes a day and 1000 minutes per week. Once you reach this limit, it will cost you 30p for 60 seconds with Airtel 499 plan.